Nissan has not had a good time lately! The manufacturer’s had to deal with a class-action lawsuit against automakers in the U.S. over the use of Takata airbag inflators, which automakers were found to have known were defective. The inflators led to the biggest recall in automotive history. 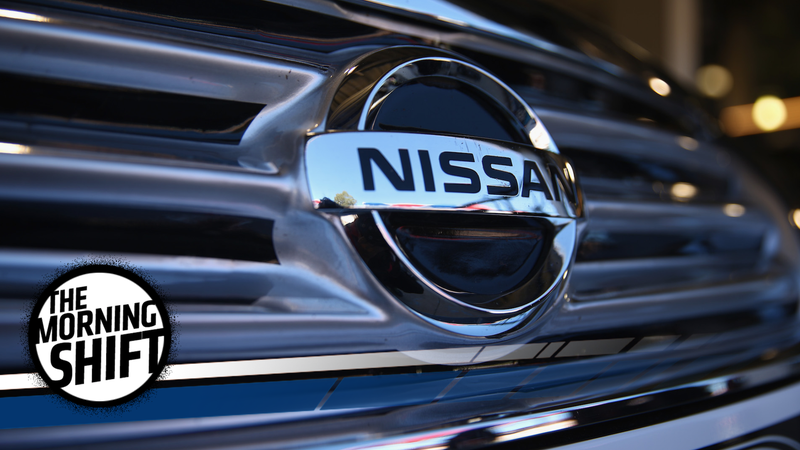 The company also took a hit when news of its bad inspection process came out, as Nissan’s apparently been doing shoddy final vehicle inspections in the Japanese market for decades. And, as Automotive News reports, sales have fallen for Nissan in some of its key North American markets. Nissan CEO Hiroto Saikawa said “special charges” took the company off its profit path this quarter, according to Automotive News. The company paid $362.6 million to cover the Takata settlement and to recall its poorly inspected vehicles. The request contradicted other things he was saying, such as that “several Japanese automobile industry firms have been really doing a job” of creating jobs in the U.S. over the years. But it’s more than just several, and the hard numbers are staggering when you put them up next to his words. He implied that Japanese manufacturers still ship more vehicles from Japan to the U.S. than they produce here. That is not true. When you add Hyundai, Kia, BMW, Mercedes-Benz and Volkswagen, 48% of all vehicles assembled in the U.S. last year were produced by someone other than Ford, General Motors and Fiat Chrysler, according to the International Organization of Motor Vehicle Manufacturers. Toyota’s largest assembly operation in the world, with about 8,000 employees, is in Georgetown, Ky.
Why, yes, it does sound like they are building cars in the United States. Businessperson Carl Icahn thinks that with private car ownership heading out the window, companies like Hertz will benefit. That’s a weird take, considering ride hailing seems to be taking over. Bloomberg reports that Icahn has a controlling position in Hertz, though, so it would make sense for him to be optimistic. Icahn imagines the next two decades ... of transportation the way a lot of experts do: Americans will ditch personal cars, opting instead for communal rideshares or short-term rentals, some of them self-driving and fueled by electricity. Icahn sees the migration playing into his hands. He’s sure enough that he has invested more than $3 billion so far, not counting what he has put into Hertz. Bloomberg reports that Icahn also thinks since Uber and Lyft don’t have interest in taking care of fleets, the 1,900 service centers his company owns will be busy. Hertz, as a company, is also attempting to become a manager of ride-hailing fleets and robotaxis. The future is weird. Ford and privately owned Chinese car company Anhui Zotye Automobile agreed to team up and put a combined $756 million into building electric passenger cars in China, Reuters reports. The agreement is a 50-50 joint venture that the two companies have been working on for several months. Zotye, founded in 2003, is one of the companies known for, well, very closely replicating designs of other passenger cars on the market. It came out with a near exact copy of the Porsche Macan SUV a few years ago, at half of the price. Reuters reports that the deal was signed during President Donald Trump’s visit to China, and that many new automakers are launching projects for plug-in cars with the high levels of pollution in Chinese cities. 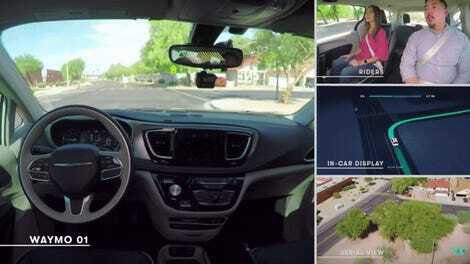 General Motors heard the new Lincoln Navigator SUV isn’t all that bad, and as a result of sweet, sweet competition among #brands, is offering $5,000 discounts on its Cadillac Escalade SUVs to dissuade buyers from leaning that way. The nationwide deal on GM’s Cadillac Escalade sport utility vehicles this month applies to any buyer trading in a 1999 or newer Lincoln model, according to a memo sent to dealers and obtained by Bloomberg News. Jim Cain, a GM spokesman, confirmed its authenticity. GM is getting off to an aggressive start defending one of its dominant large SUVs as Lincoln rolls outits challenger, the first significantly redesigned Navigator in 15 years. Ford also has updated its Expedition model to try to narrow what a Morgan Stanley analyst estimates is a $2 billion annual pretax profit edge for GM in the lucrative segment. It’s packed the $72,055 Navigator with 75 new features including standard wi-fi and a dozen power outlets. The Escalade starts at $73,995, so you’d still be spending a ton of money on the thing anyway. But $5,000 off would make it cheaper than Lincoln’s Navigator, if only by a little. Those automakers really get you when you need to haul a lot of people, huh? After clinching his first Formula One championship, Nigel Mansell retired from F1 on Nov. 8, 1992. Fox Sports Australia reports that he was back less than two years later on June 28, 1994. Sounds like someone else we know—Felipe Massa—who retired for two months instead of two years at the end of last year. He promises he’s actually retiring this time around. Neutral: Is $73,000 For An SUV Worth It To You? If you think about it, that’s a decent downpayment on a house in a lot of areas of the United States. So, would you dump that much cash out for a vehicle that’s meant to haul people, not give you immense fun on the track or elsewhere?